Sophia A. Nelson, a lawyer, author, and longtime member of the Republican party, shared her perspectives on US history, politics, race relations, and the Trump presidency. 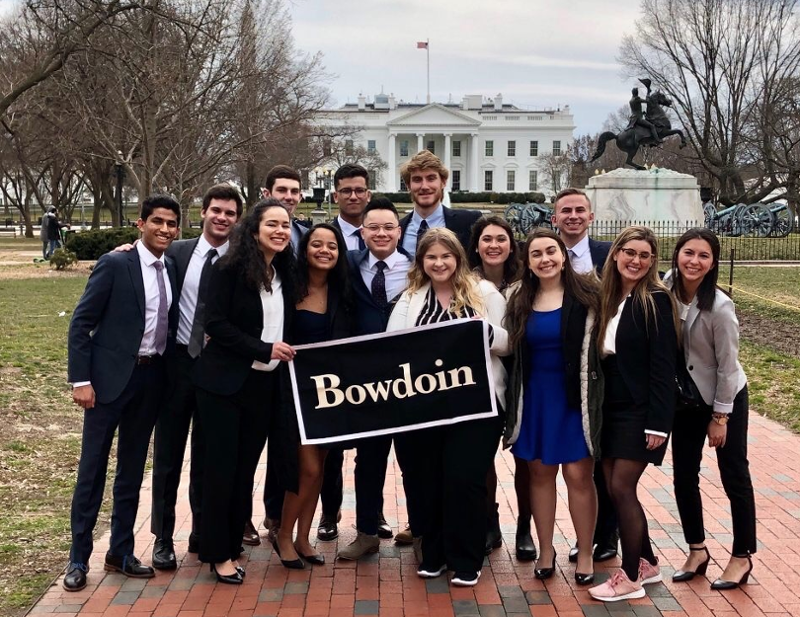 The Bowdoin College Republicans invited Nelson to speak on campus Tuesday, April 9, with Assistant Professor of Government Chryl Laird acting as moderator. Nelson offered some sharp critiques of her party’s current leadership and suggested new directions for the party in the near future. She also addressed the common impression that, because she is a black woman, her Republican identity is surprising. Along with talking politics on the stage of Kresge Auditorium, Nelson met more informally with students earlier in the day, offering pragmatic career advice as she shared a bit of her life story. Francisco Navarro ’19, leader of the Bowdon College Republicans, said he was impressed with Nelson's record of perseverance and risk taking. "Her message to women, minorities, and political professionals is simple: be a victor and help others do the same," he said. Rayne Elder ’21, who helped organize Nelson's visit to campus, said she hoped her talk inspired students to start a dialogue with one another without coming to quick judgments. "Sophia stressed keeping the conversation going, that we can disagree with each other but still be civil, and I hope the student body takes that to heart," Elder said. "America is fractured because we are quick to demonize each other without understanding each other's story or perspective. Both the right and left are guilty." Elder also appreciated Nelson's positivity and thoughtful patriotism. "Sophia loves America and is thankful for the freedom it provides. This does not mean she ignores the travesties in America's past," glossing over the fact the country was built for the benefit of white men on the backs of black people, Elder said. "She is thankful for where we are now. She believes in the ability to criticize the country. You can love your country but also be skeptical of it." At the start of the moderated discussion, Nelson brought her most recent book up to the podium, e Pluribus ONE: Reclaiming Our Founders' Vision for a United America. "A lot of people find it strange that a black woman would write a book about the founding fathers, and about the founding of this country, and say that there is something good that we ought to reclaim from that." Because, of course, at the time of the nation's birth, the founding fathers were blatantly excluding women—let alone enslaved black people—from the rights and privileges of the republic they were crafting. "The great story of America, however, is that we perfect this union. We correct those things that were wrong and make them right," she said. The ensuing discussion with Laird was lively and wide-ranging, with Laird offering a few counterpoints to Nelson's arguments. Check out the full video of the event above. Earlier in the day, Nelson met with Bowdoin career advisor Dighton Spooner and a few female students of color to talk about careers and life paths. She spoke to the young women about the importance of networking and nurturing lifelong relationships. To that end, she said a handwritten note—and a Christmas card—can go a long way. She also said that black women were still making "a lot of firsts" and that they should, as they keep breaking down barriers, keep in mind the people coming up behind them. "I have had to work two times—no, three times—as hard," she said, to become a successful lawyer, political aide, and author. And her success will help others, she said, adding, "you have to lift as you climb." Nelson has her eyes on becoming a first herself—the first female senator of Virginia, her home state. She said she's considering a run in 2024. "People will say I'm a longshot, and then I'm going to win," she said. 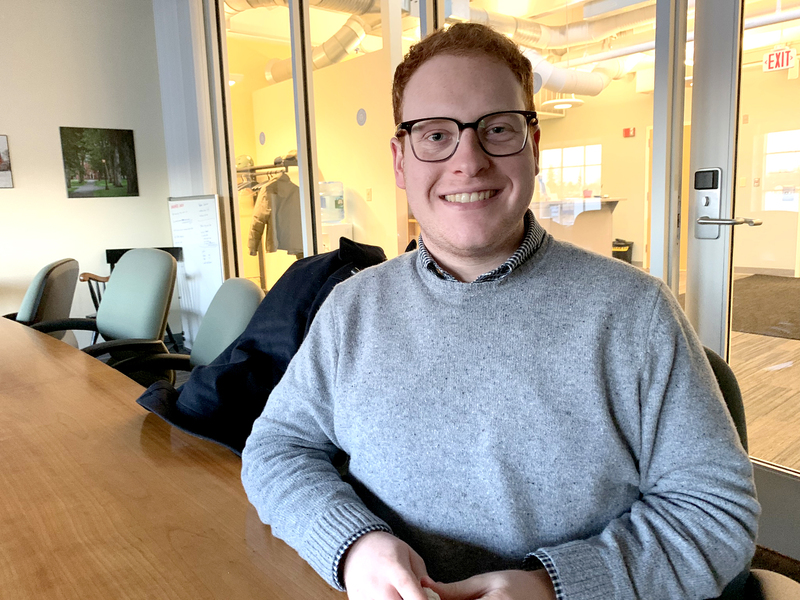 Senior Sam Lewis will pursue a master's degree at the University of Cambridge next year with a scholarship from the Keasbey Memorial Foundation. 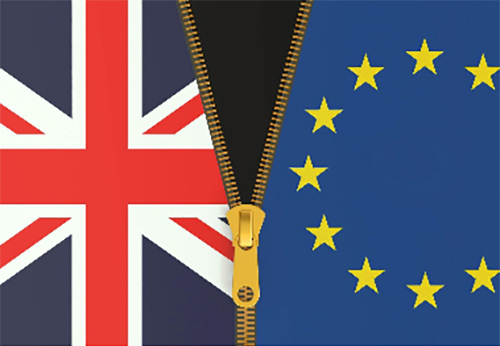 With just weeks to go until Brexit and still no deal in sight, two political science professors led a discussion on the UK’s historic decision by referendum to leave the European Union. Why did it happen? What does it mean?